I’ve written about some diverse Norwegian music artists in the 18 months I’m running this blog, but never before have I happened upon a music project based on Nordic spiritualism. “Who?” you might well ask, and if you did, you’d find about 44,000 FB fans shouting Wardruna back at you! The brainchild of musician Einar Selvik, the project segued into a full-on musical going concern in 2003, and has since then, released three albums, the latest entitled ‘Runaljod – Ragnarok’, on the Indie Recordings/By Norse Music label. The third Lp in the Wardruna Runaljod series was released in October and is the final chapter in the Elder Fuþark inspired trilogy. The album’s lead single ‘Odal’, which hit the Norwegian airwaves in August, was followed by the current single release, ‘Raido‘, the video for which you can view below. The word ‘Raido’, which means ride or journey, derives from the Old Norwegian word Ræið. Sung in Norwegian, it is a powerful and commanding track, but for all its thunderous topsoil of braggadocio, the layers underneath are rife with emotion, humanity and a sense of belonging to and oneness with nature. Opening with a percussive line not far removed from the hypnotic beat that was the spinal chord of Tears for Fears’ ‘Mad World’, the track augments into a breathtaking fusion of medieval Celtic spirituality and spine tingling Nordic chant. This reviewer knows little about Norse mythology and understands even less about runes and fantastical deities, but if ever a song captured the essence of the pagan attunement with nature and the intense energy possessed of latter day spiritualists, then ‘Raido’ is it. Emotionally charged, lyrically potent (the English translation is printed underneath the video), poetic, dramatic and creatively distinctive, it is not the music of everyday, but of days lost, of times gone by, yet in its midst it channels the eternal trinity of man-animal-nature and the unique and special relationship that exists between all three. Wardruna is Einar “Kvitrafn” Selvik and Lindy Fay Hella. 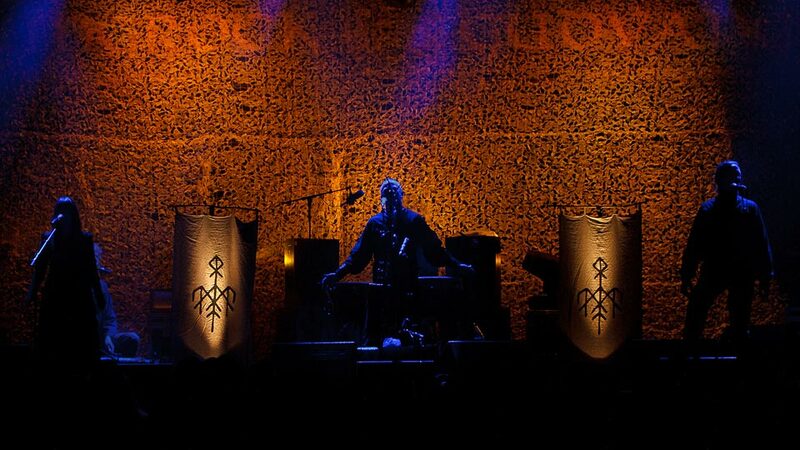 For more information on the band see their official website, http://www.wardruna.com/ . ‘Raido’ is on release now and the darkly dramatic accompanying video which contains some stunning nature photography, was directed by Finn, Tuukka Kos. Watch it here.